I love getting free tees from work and special events, but they NEVER flatter me. 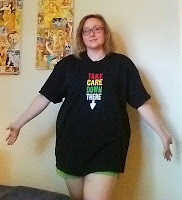 I'd really love to wear this T-shirt to work, but it's a bit too big. Maybe I should mention I work in sexual health so it's totally suitable for work? It came in a swag bag at a safety seminar and sadly I didn't check the size before I left. 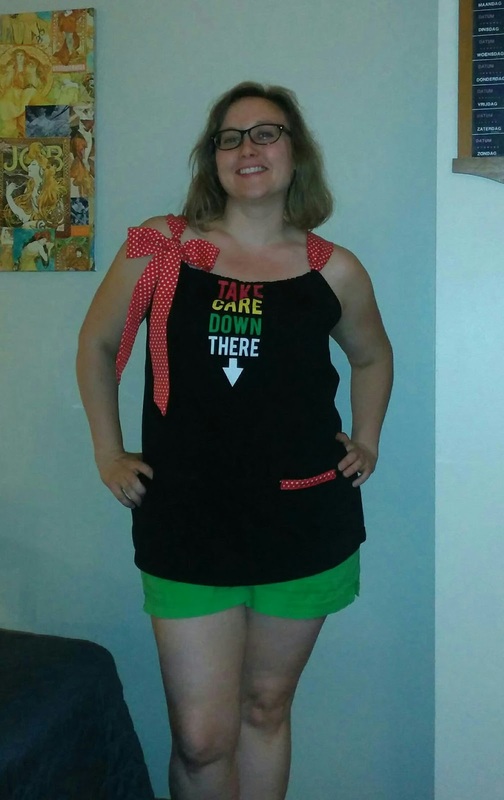 I've made this style of swing top from scratch before, and thought it would be perfect for a T-shirt makeover. 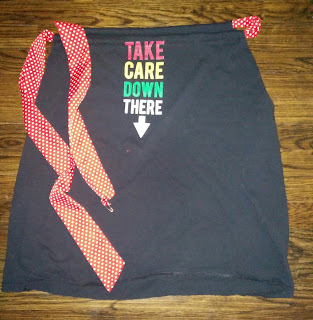 There's minimal, easy sewing if you skip the pocket and use a ribbon for the bow. Cut off sleeves and straight across the neck. Save sleeves if you plan to add a pocket or two. Cut off another inch or two in the front. 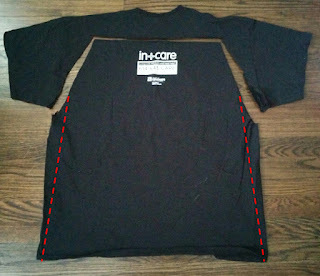 You can either fold a 1/2 inch hem along the underarms as shown below or cut, pin and sew along the red dotted lines as shown above. 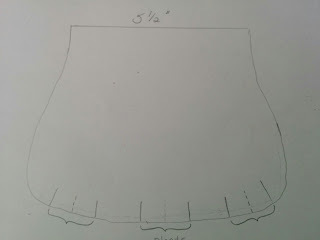 Cut in slightly along the curves so the folded hem won't pucker. Sew with stretch stitch of your choice. If you need help with sewing knits, there's some great advice here. Fold over the front and back 1 1/4" and pin. 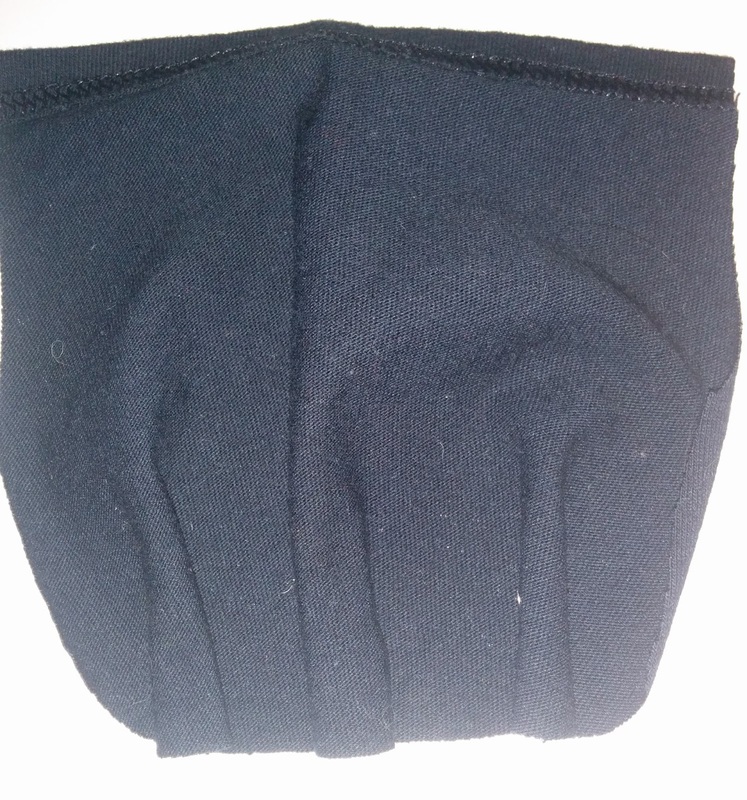 Press seam. Sew straight across front and back with a 1" seam allowance. 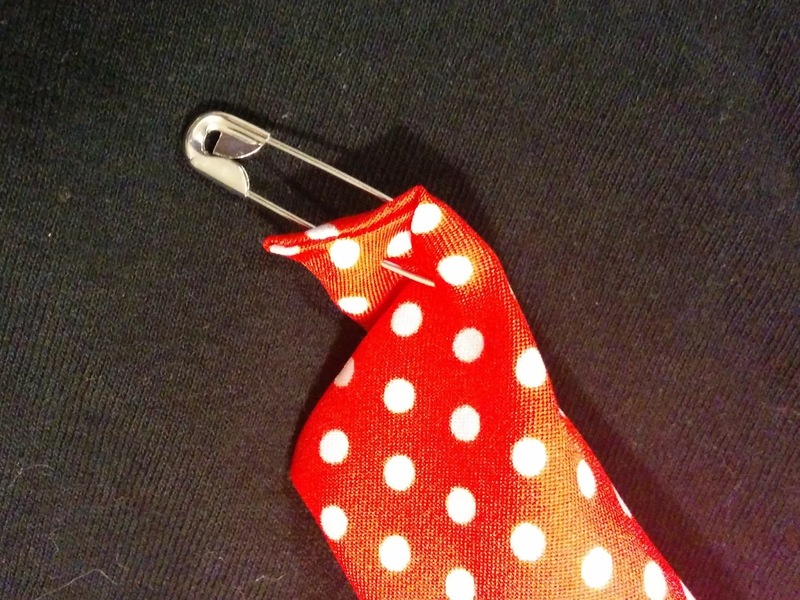 A safety pin makes it easier to add the ribbon. 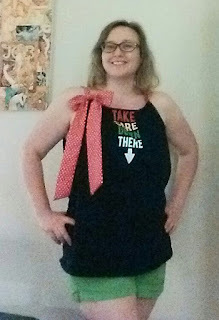 Try on your top! Tie the ends in a jaunty bow on one side. You can be done here, OR you can add pockets. I chose to add one pocket to help balance the visual impact of the bow. Mark you pocket locatoin(s) with white chalk. Use this pocket template. Size up the picture until it measures about 5 1/2" on your monitor and trace, or copy the picture into another program and resize until it measures 5 1/2". 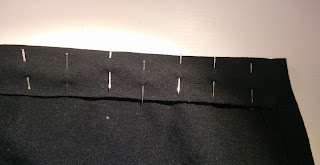 Line up the already hemmed edge of the sleeve with the top straight edge of pattern. 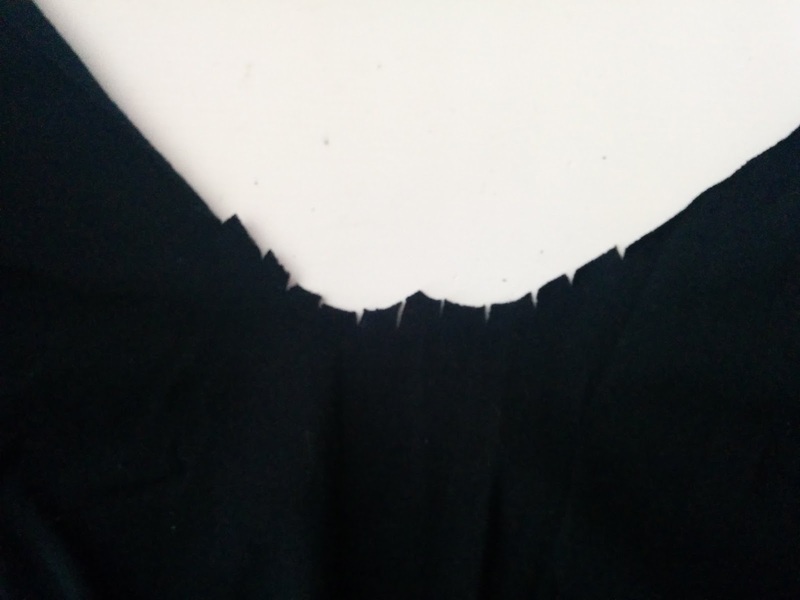 Cut out pockets. 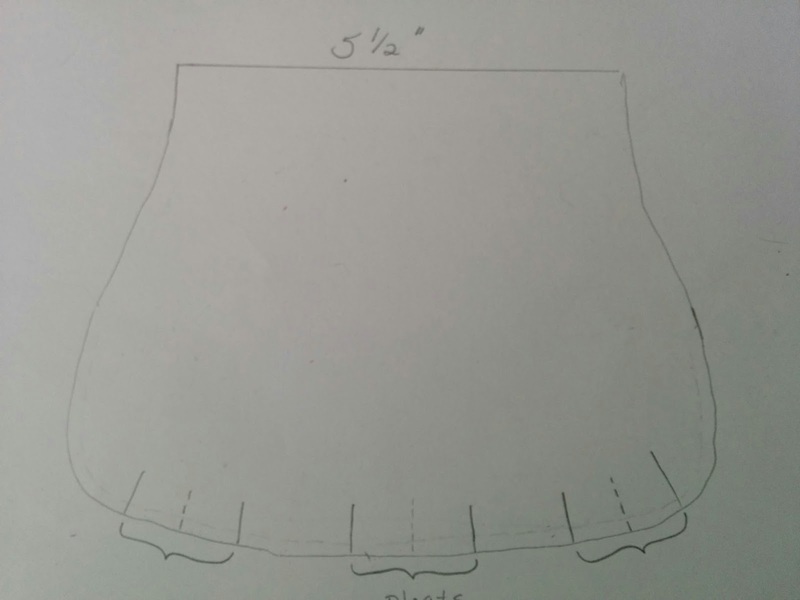 Make three pleats and pin. Sew down with a basting stitch 3/8" from edge. 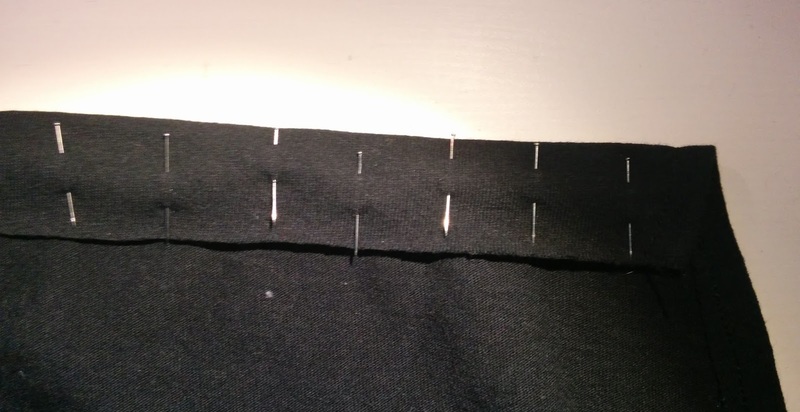 Turn a 1/2" hem under and pin. Sew hem down. pocket, fold over top of pocket, pin in place and sew down. 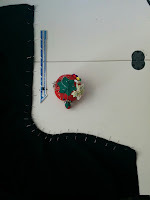 You may need to change to a different needle depending on your trim fabric. I used a sharps 80/12 needle suitable for fine fabrics. 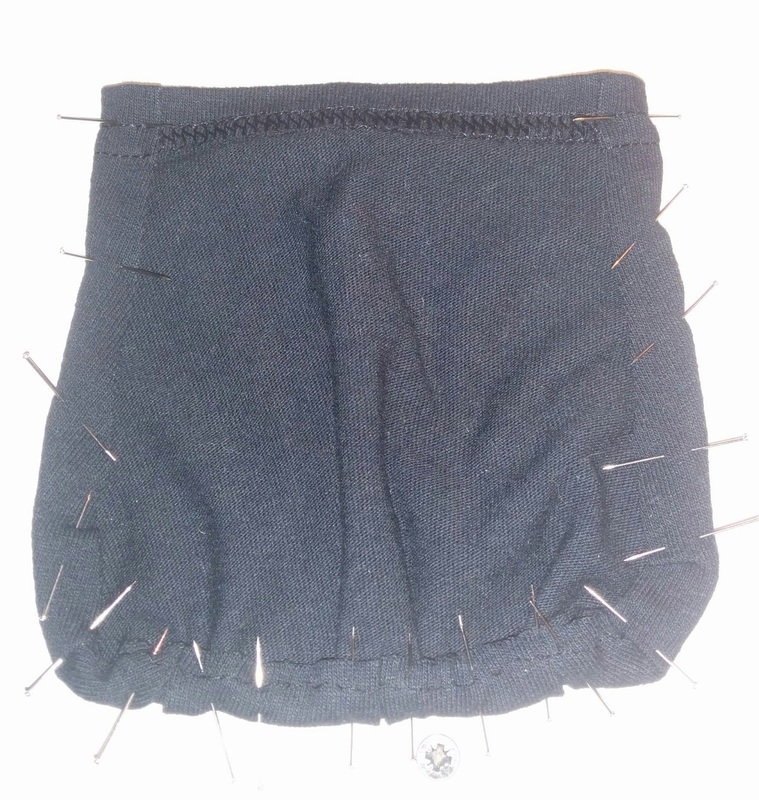 Pin pocket to top and sew in place.